The cover of Time Magazine on 9 April, 1965. It launched the strip into the stratosphere. The project started in the Spring of 1965. 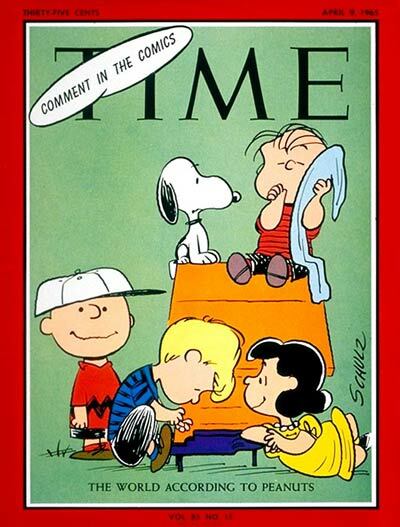 Peanuts was the hot comic strip of the day, appearing on the cover of Time Magazine on April 9th. In a quick rush to cash in on the fame, Coca-Cola called producer Lee Mendelson, who had made a documentary about Schultz and Peanuts. They wanted him to make a special in time for Christmas. Mendelson said he had an idea for one, even though he hadn’t even contacted Schultz yet. And there were in the same country shepherds abiding in the field, keeping watch over their flock by night. And, lo, the angel of the Lord came upon them, and the glory of the Lord shone round about them: and they were sore afraid. And the angel said unto them, Fear not; for, behold, I bring you tidings of great joy, which shall be to all people. For unto you is born this day in the city of David a Savior, which is Christ the Lord. And this shall be a sign unto you: Ye shall find the babe wrapped in swaddling clothes, lying in a manger.And suddenly there was with the angel a multitude of the heavenly host praising God, and saying, Glory to God in the highest, and on earth peace and goodwill towards men. Linus explains it in simple, soft words. That wasn’t the only chance they took. 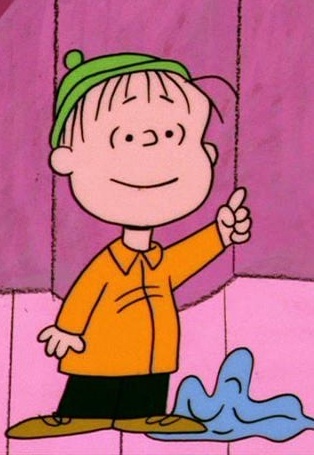 It was Mendelson’s idea to use the music of Vince Guaraldi, who wrote the piece “Linus and Lucy” along with other incidental music. Exactly why he thought of this is not recorded, but it’s clear that they were pushing this special to the very edges of a rather conformist world on the edge of change. Legend has it that when the CBS executives saw it they were horrified. Overt Christianity? Anti-consumerism? Jazz? No laugh track? It broke all the rules. Supposedly it was already announced and printed in the schedules with no time to change it before it aired on 9 December, 1965. There is no doubt that it has become that, but what about the central message? What came of the idea that Christmas is a moment of peace and commercialism can ruin it? 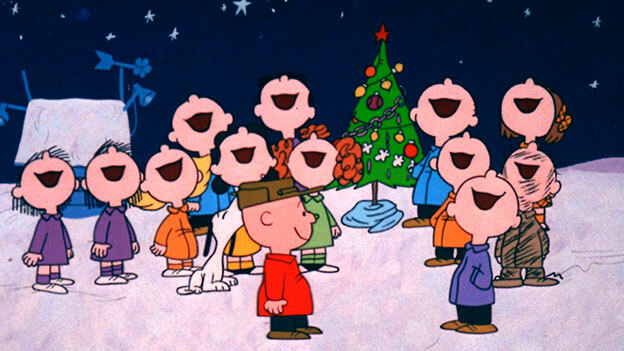 While “A Charlie Brown Christmas has been repeated at least once per year on network television, now for 50 times, has that message been taken to heart or picked up by a new generation? The short answer is that as much as we love this show it remains almost alone in its simple and clear message. That’s a shame, but we still have this masterpiece. How can the circle of peace and love be widened as we embrace this great tradition? The answer is in all of our hearts, just as it was in Charlie Brown’s. We all know the answer. What’s beautiful about “A Charlie Brown Christmas” is that it teaches us what we already know without a lecture or a harsh judgment. And that’s what love is all about, Charlie Brown. This entry was posted in People & Culture and tagged christmas, holidays, Rampant materialism, values. Bookmark the permalink. A true classic that seems to get better every year. It’s not the nostalgia it’s the values. What was it you keep saying about Mister Rogers, that he had something he treasured above all else? “Simple & Deep” I think is what you mean. Yes, this is a good example of that! Oldie, but a goodie. What a good reminder of what Christmas is truly about. Nice post. Aww I love this!! This is definitely my favorite Christmas special to see if every year! !